Can We Sacrifice a Paschal Lamb Nowadays? I was always under the impression that although the Paschal lamb was the focal point of the Passover celebration during Temple times, we can’t bring sacrifices these days. However, in an online discussion, someone claimed that we actually can bring the Paschal lamb nowadays. Was he right? And if yes, why don’t we? 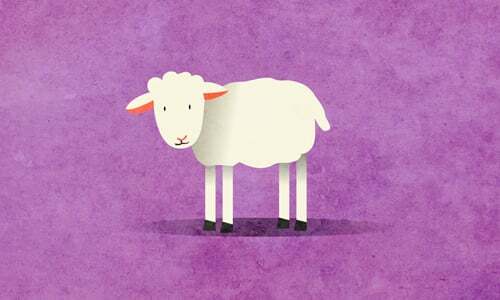 The issue of bringing a Korban Pesach, the Passover sacrifice, nowadays is a fascinating topic. The truth is that your friend has a somewhat valid point, since the Korban Pesach is a unique offering which poses unique possibilities. Like all sacrifices, it may only be brought on the Temple Mount in Jerusalem. But does there need to be a Temple standing for the sacrifice to be brought? The Mishnah relates that Rabban Gamliel instructed his servant Tevi to roast the Paschal lamb for him.4 Now, there were two Mishnaic sages by the name of Rabban Gamliel, a grandfather and a grandson. Rabban Gamliel the Elder lived during the time of the Second Temple, whereas his grandson, Rabban Gamliel of Yavneh, lived shortly after its destruction. So which one was it? So the sacrifice may have been offered after Temple times. But why? Let us first answer that question with another question: Why not? According to most codifiers, including Maimonides, one may in theory bring a sacrifice at the location where the Altar stood on the Temple Mount, even in the absence of the actual Temple structure.6 However, this view is not universally accepted, and as I explain here, there are lots of other technicalities preventing the rebuilding of the Temple and the bringing of an offering at present. But the Paschal Lamb is somewhat of an exception. However, while this is true for most sacrifices, when it comes to sacrifices that must be offered on a specific day, the halachah is that they may be brought even while in a state of impurity.8 Practically, this means that the daily Tamid offering and the special Shabbat and holiday offerings, including the Paschal lamb, may be brought in a state of impurity. Thus, the only sacrifice that is time-specific but isn’t bought with communal funds is the Korban Pesach. To be sure, there are many other issues with offering a sacrifice: identifying the exact spot to build the altar, determining how to craft the uniforms for the kohanim (priests), and even determining who is a kohen. In fact, entire works have been devoted to the controversy and possible solutions. Thus, there is only a remote possibility that we could even bring the Korban Pesach today. This all changed with the retaking of Jerusalem by the Israeli army in 1967. Suddenly, this was a question with real-life implications. And the debate heated up. The Rebbe’s instructions to leave Jerusalem on Passover eve were in effect for eight years following the Six-Day War. The letter concludes with a fervent prayer for the end of exile and for the rebuilding of the Holy Temple—may it be speedily in our days! For further information on this topic, I recommend readingWhy Haven’t the Jews Rebuilt the Holy Temple Yet? See Sheilat Yaavitz 1:89 and responsum of Chatam Sofer, Yoreh Deiah 236 (writing to his famed father-in-law, Rabbi Akiva Aiger). Sheilat Yaavitz 1:89, See, however, Seder Hadorot, Rabban Gamliel of Yavna, who, while agreeing it was the later Rabban Gamliel, writes that this took place before the destruction of the Temple. See Mishnah Ediyot 8:6; Talmud, Megillah 10, Shevuot 16a and Zevachim 62a; and Rambam, Hilchot Beit Habechira 6:15. See also Magen Avraham, Orach Chaim 561:2 and Mishnah Berurah 561:5. See, however, Rabad on the Rambam, Hilchot Beit Habechira 6:15, where he disagrees, as well as the commentary of Ri Migash on Talmud, Shevuot 16a, where he is of the opinion that the Talmud was referring to an instance of a temporary absence of the Temple walls, such as what occurred during the period of the reconstruction of the Second Temple. Leviticus 22:2;Talmud, Sanhedrin 83a and Zevachim 15b. See also Rambam, Hilchot Biyat Hamikdash 4:1; Magen Avraham, Orach Chaim 561:2; and Mishnah Berurah 561:5. Talmud, Yoma 50a; Rambam, Hilchot Biyat Hamikdash 4:9-10. Sheilat Yaavitz 1:89, and responsum of Chasam Sofer, Yoreh Deiah 236. See also the Mahartz Chajes in Kunteres Acharon, Avodat Hakodesh. See responsum from Chasam Sofer, Yoreh Deiah 236, in which he replied to an apparent request by his revered father-in-law, Rabbi Akiva Eiger, to use his government connections to get permission to offer sacrifices on the Temple Mount. He replied that the Temple Mount is unfortunately currently covered by a mosque that is sacred to its Muslim rulers, who would never permit any non-Muslim to step foot there. See talk delivered by the Lubavitcher Rebbe on the last day of Passover, 5728 (1968). Torat Menachem, vol. 52, p. 307. See Igrot Kodesh, vol. 30, p. 200. Why Were the Israelites Still Afraid of Pharaoh? Would You Bring a Sheep into your House? My family and I offer 1 weeks worth of my yearly salary and give it to charity different ones, about $1520 worth to be exact. In appreciation of taking my family and I out of slavery and into the land of milk and honey.